Discussion in 'The Blog' started by JosefVStalin, Sep 30, 2012. Welcome to our final day of our month of mods. 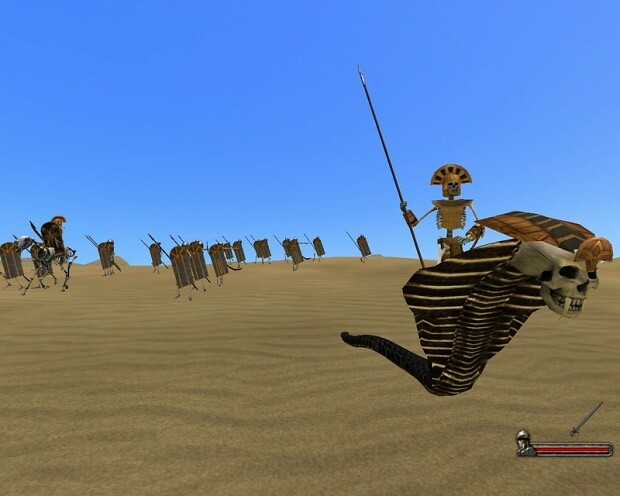 Today we are finishing off with a Mount and Blade: Warband Mod called Warsword Conquest which converts Mount and Blade to the fantasy version of War Hammer. So the game gives you 7 different factions based on the fantasy Warhammer. All of which are pretty cool and crazy. From armies of Skeletons to armies of lizard people the game gives you a vast array of units to toy which, and that ensures every army has vastly different units and tactics. Making combat experience completely different based on every army that you play. Excellent month of mods Stalin! I've enjoyed it very much. In regard to the ending of this video... ooh you do know how to tease us so. Looking forward to the next 2 videos!